Your message has been sent to Budge and Heipt PLLC . Like authorSTREAM? Give us a +1! Our mission at Budge & Heipt is to hold police, law enforcement, and jails and prisons accountable for constitutional violations that result in wrongful death or serious bodily harm. We do this by thoroughly investigating each and every case we take, demanding answers, uncovering the truth, and pursuing fair compensation under the law for victims and their loved ones. 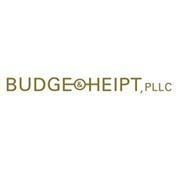 Budge and Heipt PLLC's Podcasts ..